IPSCMI®Certification Program offers the designation of CITL (Certified in International Transportation and Logistics) to candidates who demonstrate their understanding of the fundamentals of the profession through the successful completion of four modules of required study material. The Institute’s modules and associated examinations are prepared by a Board of Examiners consisting of Certified Educator Members within IPSCMI®. Successful candidates are granted the designation of Certified in International Transportation and Logistics (CITL). The CITL designation may be used just as similar recognitions are employed in accounting, insurance, medicine, law, and other professions. Either the full expression or the initials may be used after the individual’s name on business cards, stationery, etc. The Board of Examiners realizes that many applicants are employed on a full-time basis and, as such, are limited in the amount of time available to prepare for the examinations. Without some guiding time requirement, however, candidates tend to lose the concept of the examination program and the material covered. Therefore, the Board of Examiners has established a two year maximum time limit for acceptance of completed requirements. The two year time period begins after the successful completion of the first examination, or receipt of the first waiver. The time limitation may not be waived without the approval of the Board of Examiners. The certification program includes four required modules，including General Management Principles, Logistics Management, Transportation Management and Supply Chain Management. All modules must be successfully completed by exam or waiver. There is a 100-minute time limit to complete the exam, although it may be completed in a shorter time period. The exams consist of 50 multiple choice questions in both English and Chinese, in which four items of options are provided for each question and only one of them is right. A score of 60% or higher is required to pass the exam; a candidate who below 60% may take the exam again. Candidates may complete the required four modules in any order. A broad-based understanding of the role of management in both domestic and international environments as related to economic, political, and social systems. 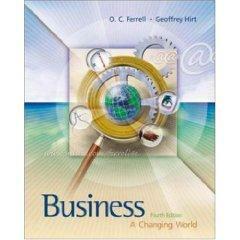 Exposure to a wide range of management issues critical to the successes of ongoing industries and business firms. An opportunity to achieve understanding of management concepts and/or theories by assimilating material through a variety of learning methods. An introduction to the concept of lifelong learning. Individuals should be prepared to take a more active role in their education in preparation for a more successful career. The central theme is to link the management concepts covered in class and within the text to other sources and other business concepts. This module is designed to offer the candidates an understanding of basic logistics principles which is fundamental to sound management decisions to consider many of the cost trade-offs found in the profession. The primary areas of emphasis of the module are: (1) Inbound flow of materials; (2) outbound flow of materials through manufacturing to the end consumer; and (3) treatment of the process as a complete system. 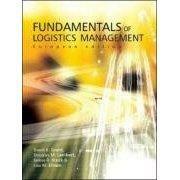 Examine the role transportation plays in logistics and customer service. Discuss the interrelationship of transportation and the economy. Review the historical and economic significance of transportation. Understand the impact of transportation on the environment. Compare the modes of transportation for domestic and international shipments. Explain “Total Landed Cost” and how to compute it. Explain how costs of transportation can influence logistics decisions. Explain the principal features of the Hazardous Materials Regulation. Describe the various classes of hazards. Explain how to package, mark, label, transport and document hazardous materials. Review the history of the trucking industry. Define the motor carrier industry including its structure and market. Analyze operating and service characteristics. Explain the cost structure of the motor carrier industry. Identify current issues affecting the trucking industry. Review the history and examine the railroad industry in an overview. Discuss the railroad market structure to include the number of carriers and line mileage, and the competitive environment. Analyze the operating and service operating characteristics of railroads. Evaluate the cost structure of railroads. Discuss the financial position of the railroads to include legislative reform and its service performance in light of various laws which have been passed. Analyze the current issues facing the railroads. Describe the nature of domestic water carriage and trace its development. Discuss the domestic water carrier industry with respect to the types and numbers of carriers, and describe its market structure including the competitive environment. Describe the modal operating and service characteristics of water carriage. Discuss the modal cost structure of water carriage, including the modal infrastructure, labor considerations, fuel requirements, economies of scale and shipping conferences. Understand the current issues affecting water carriage. Understand the history, market structure, competition environment, operation and service characteristics, cost structure and current issues of air transport. Analyze the nature of the pipeline industry and carrier organization. Explain the market structure of the pipelines, including the commodities transported the competitive environment. Identify the operational characteristics of the pipelines, including commodities handled and service characteristics. Describe the cost structure of the pipelines and rates charged. 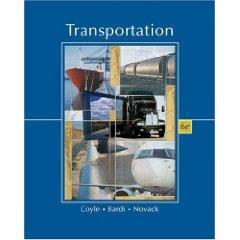 Review the nature and characteristics of intermodal transportation. Discuss the nature and characteristics of piggyback service and containerization. Explain the concept of third party transportation and the forms of third party transport-related services in existence today. Describe the forms of transportation available that provide special types of carrier services for shippers. Define the systems and operations of household goods carriers. Determine an effective and efficient process for managing inbound and outbound transportation. Determine basic considerations in negotiating quality transportation service contracts. Determine how to manage those contracts in order to maximize transportation effectiveness and efficiency at minimum cost. Discuss the domestic outbound transportation process. Describe the global outbound transportation process. Recognize the role of the United States in international commerce. Explain rate making in foreign transportation. Discuss the problems, issues, and policies related to international transportation. Recognize the role of port authorities in international transportation. Discuss the future of international transportation. The purpose of this module is to enhance student understanding of international value-creating networks. Our increasingly competitive and globalized business environment is forcing more and more firms to explore and implement strategies for increasing collaboration and integration across their supply chains. The vision of an integrated, collaborative network of suppliers, manufacturers, and retailers across a distribution network focused on maximizing value for customers is moving from a competitive advantage to a competitive necessity. This module will present issues, challenges, strategies, and practices to assist firms in succeeding in these value-creating networks. Challenges and issues will be explored, to include performance measurement; inventory positioning; lead time management; synchronization of activity between firms; managing international networks; and risk management.